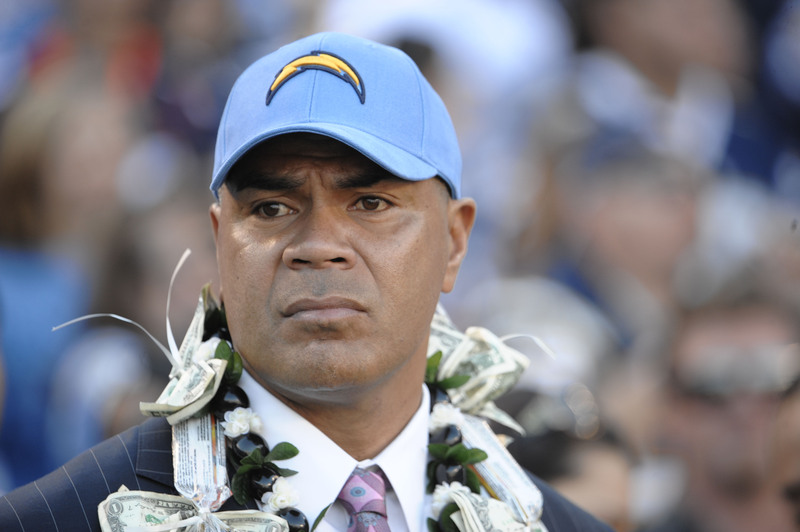 AP – The family of Junior Seau has sued the NFL, claiming the former linebacker’s suicide was the result of brain disease caused by violent hits he sustained while playing football. The wrongful death lawsuit, filed Wednesday in California Superior Court in San Diego, blames the NFL for its “acts or omissions” that hid the dangers of repetitive blows to the head. It says Seau developed chronic traumatic encephalopathy (CTE) from those hits, and accuses the NFL of deliberately ignoring and concealing evidence of the risks associated with traumatic brain injuries. It singles out NFL Films and some of its videos for promoting the brutality of the game. “In 1993’s ‘NFL Rocks,’ Junior Seau offered his opinion on the measure of a punishing hit: ‘If I can feel some dizziness, I know that guy is feeling double (that),” the suit says. The NFL consistently has denied allegations similar to those in the lawsuit. Wow. This is pretty surprising to me. I thought it could happen, just didn’t think it would. When it comes to blogging, I throw my opinion around on trivial stories all the time. When it comes to serious matters, I live by this… “speak what you know.” Honestly, I don’t know how Seau’s suicide and his NFL days are correlated. Neither do you… not 100%, anyway. All I know is that Seau’s kids don’t have a father, and I hate that. This lawsuit won’t bring their father back… but maybe it’ll save other kids from losing their fathers down the road. This entry was posted in Football, News, NFL and tagged Chargers, junior seau, junior seau brain damage, Junior Seau family has sued the NFL, junior seau's family suing nfl. Bookmark the permalink.